Looking for a job in Brunei? This small country in Southeast Asia is considered as one of the richest in the world. It offers job vacancies for foreigners in private schools, oil and gas companies, banks and trade companies. How to get a job in Brunei as a foreigner? This short guide will help you through the few important steps - including information about the job market in Brunei, how to get employment visa and how to find job vacancies in Brunei. There is a shortage of skilled workforce in Brunei. Sectors that offer the best chances to find an employment as a foreigner in Brunei are private schools, oil and gas companies, the national airline company and some small businesses in the trade sector. The largest employers in Brunei are Oil and Gas companies, banks, the national airline company (Royal Brunei Airlines) and telecommunications company (Telekom Brunei). Oil and gas sector in Brunei (especially international oil companies) offers a variety of positions and career prospects to engineers, qualified technicians and professionals and support workers coming from every part of the world. Oil and Gas companies usually hire foreign employees as engineers, project managers, construction workers, truck drivers, etc. Banks hire foreigners for the upper management and their related support staff, but also for positions like financial analysts, cashiers and loan officers. But there are also many entreprenours, businesses and developers that hire teachers, architects, translators, bricklayers, web developers, sales agents and other job profiles. 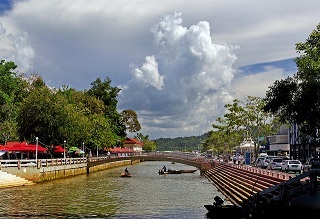 Tourism is important part of Brunei’s economy. Large number of employees in local hotels and restaurants are foreign labour. Usually they are hired as maids, cook assistants, chefs, cleaners and receptionists. Office assistant in Brunei – usually works for top management in international companies in Brunei. CV is the most important tool for foreign job seekers in Brunei. It is very important to prepare CV and mandatory documents like highest academic certificates and passport if you are non-Bruneian, before applying for a job in Brunei. Job offers are usually published in local newspapers (like Borneo Bulletin and Brunei Straits time) or via few relevant web sites for job seekers (like Job in Brunei). You can also register and upload your CV and mandatory documents via website of certain company in Brunei or you can search for jobs online and apply for job desired via job application system. Some employers in Brunei offer foreign job seekers the opportunity to input their resumes into databases and use collected CVs in future to select the appropriate candidates to fill their job vacancies. You can also use services of local employment agencies registered under the Department of Labour, Brunei. There are about a hundred of these agencies in Brunei. Some of the known employment agencies are: Basma Razaq, Nur Mewah, Ivyan Link, Benson & Mandy Employment Agency, Ezwyn-Workforce, Alliance U.R., Blia Future, Didi Pertama and LRK Employment Agency. With a population of five hundred thousand and total area of 5.765 sq km (2.226 sq mi), Brunei is a small country, but wealthy economy. 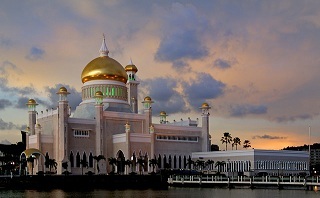 Brunei is ranked as one of the best rated counries in the world by gross domestic product per capita. Natural gas and crude oil production account for about 90% of Brunei’s GDP (and almost all exports), making Brunei one of the largest producers of oil and natural gas in Southeast Asia. Other industries in Brunei include petrochemical industry, agriculture, fishing, forestry and banking. Official language in Brunei is Malay, but English and Chinese languages are widely used in business communication and within international companies. Official currency in Brunei is the Brunei dollar, divided into 100 cents. The largest cities in Brunei are Bandar Seri Begawan (capital), Kuala Belait, Pekan Bangar and Pekan Tutong. About 90% of Brunei’s companies offer jobs in these four cities. The government of Brunei provides medical services and housing. 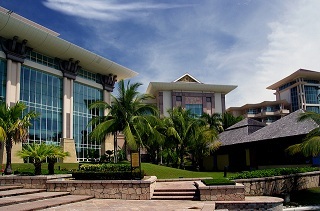 Majority of large companies are also governed by the government of Brunei and its ministries. International companies (with its headquarters out of Brunei) like Shell or Total, would prefer to hire foreigners. If you are planning to work in Brunei, you will need a work visa or employment visa (officialy named in Brunei). Employment Visa is a type of visa issued for the purpose of employment in Brunei Darussalam, but it is possible to enter Brunei on Social visit visa, Professional visit visa or Business visit visa for your job search and then apply for your Employment visa once you’ve found employment. Non-employment visas are a good way to enter Brunei in order to perform job search, but it is very important to get an employment visa if you get a job or leave the country when non-employment visa expires. Offenses in Brunei, such as visa overstaying, are punishable by jail or fines. The government of Brunei regulates the immigration of foreign labor via a quota system. Employment visas and employment pass for foreigners are usually issued for a short period and must be constantly renewed. Companies that hire foreign workers have to pay security deposits to the authorities, depending on the employee’s country of origin. Even families that hire domestic helpers (non Business hiring) must obtain valid licence for a foreign workers. Despite these strict regulations, foreign residents in Brunei make up a significant portion (over a third) of the total work force in this country. Foreign workers in Brunei mainly comes from Malaysia, Indonesia, Philippines and Thailand. There are over 100.000 foreign employees in Brunei, with a huge portion of them employed under the private sector. While your emloyment visa is being processed, you’ll need to submit your medical records. Pre-departure medical examination is a requirement of the Ministry of Health, Brunei for all foreign employees. You will have to get a blood test to rule out diseases like HIV antibody, HbsAg, Hepatitis C and VDRL/TPHA. Even pregnant applicants are considered temporarily unfit for employment in Brunei. Upon approval of the employment visa application, you must enter Brunei within three months from the date of issuance of approval by the Brunei Immigration authorities.